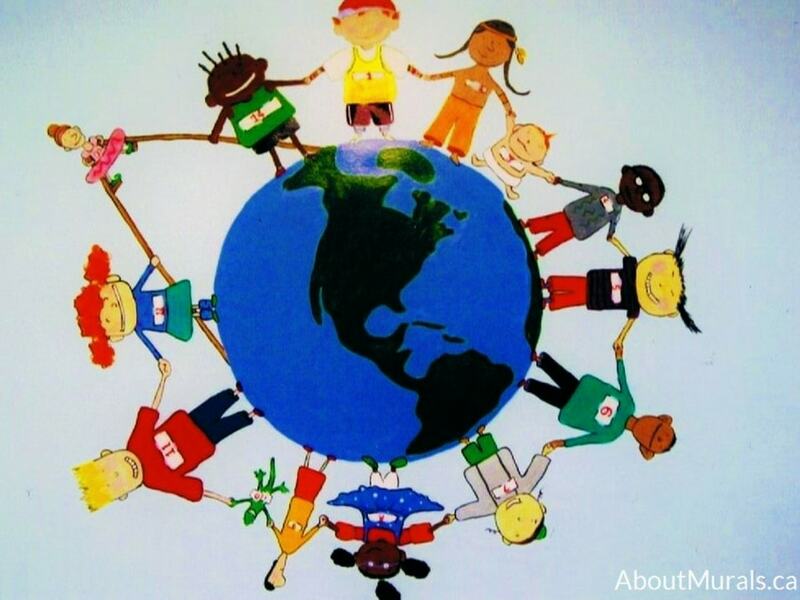 Even though I painted this world mural in Burlington, Ontario, I also sell kids wallpaper murals that ship for FREE in Canada and the USA. Keep scrolling down for a few of my fave world designs! They’re super easy to hang and totally removable when you’re ready to redecorate. 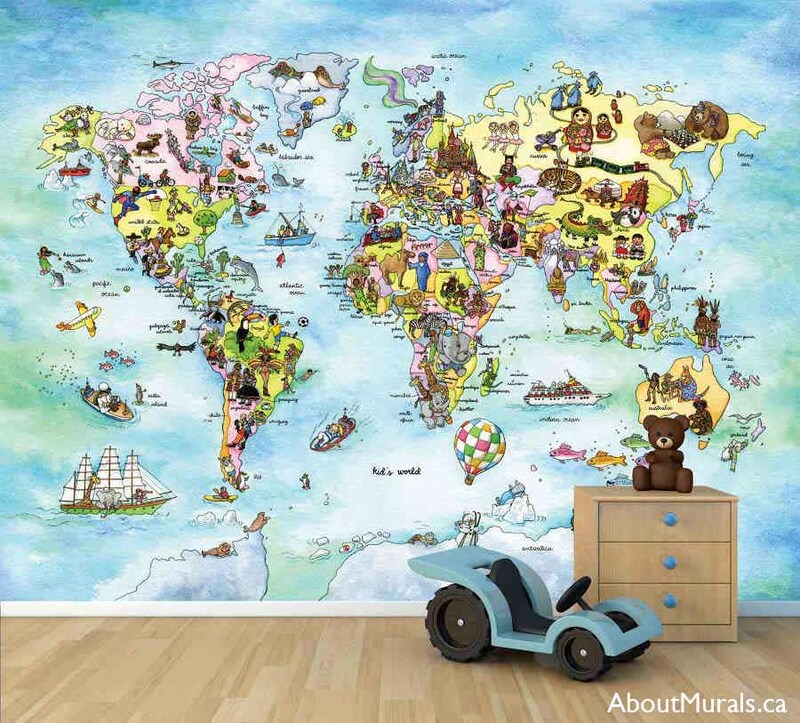 Thinking of adding a world mural into your kids bedroom? Here are some photos of a mural I painted to give you some ideas for your own space. 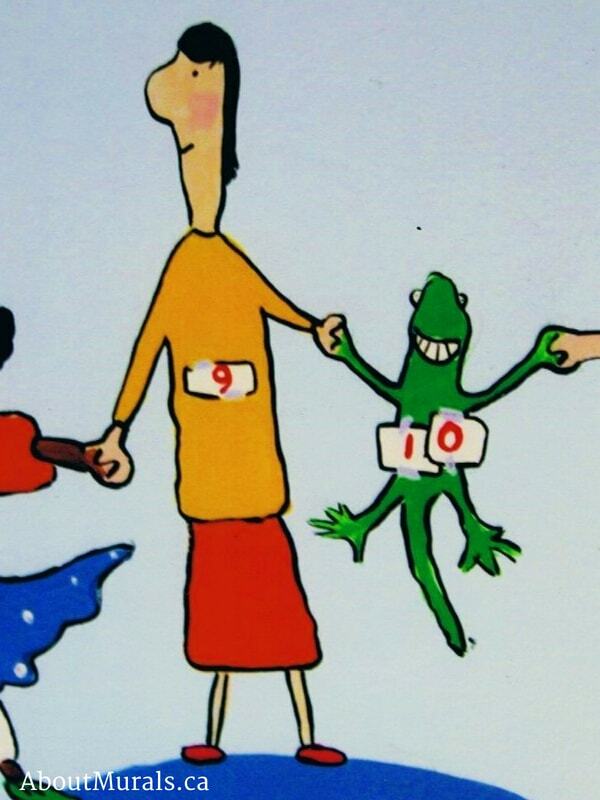 This little boy’s favourite book is called, “Is there really a human race?” written by Jamie Lee Curtis. 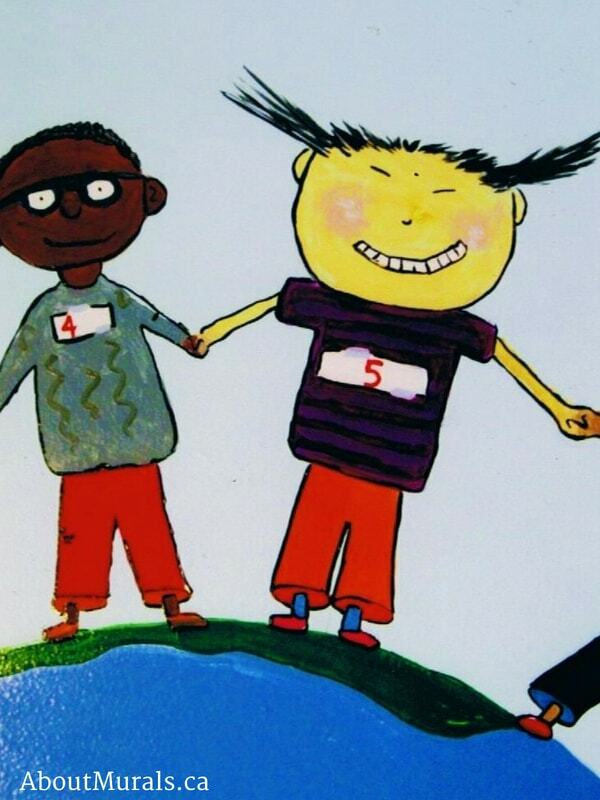 His parents had me paint a bunch of the characters from the book, holding hands surrounding the planet earth. 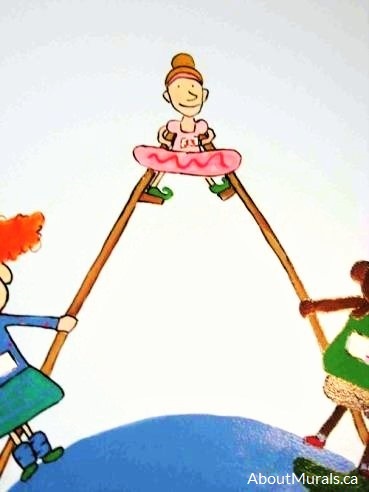 I only use non-toxic acrylic paint and no-VOC latex paint for my murals and walls, so it’s safe for your kids to play and sleep in their bedrooms – even on the night that I finish painting. Even my wallpaper murals are eco-friendly! 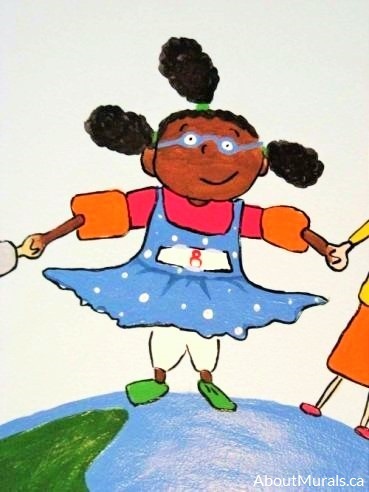 I painted characters from the book holding hands surrounding the earth. 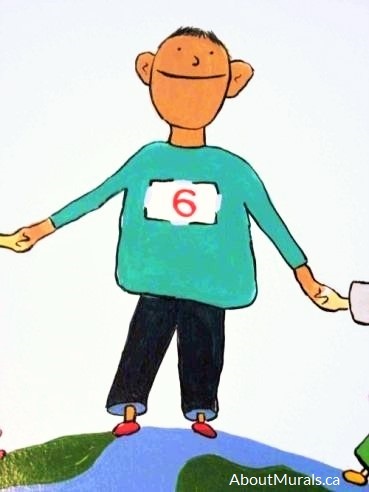 The kids are all different nationalities and have different hobbies like ballet, running and swimming. Like My World Mural? Hire Me! 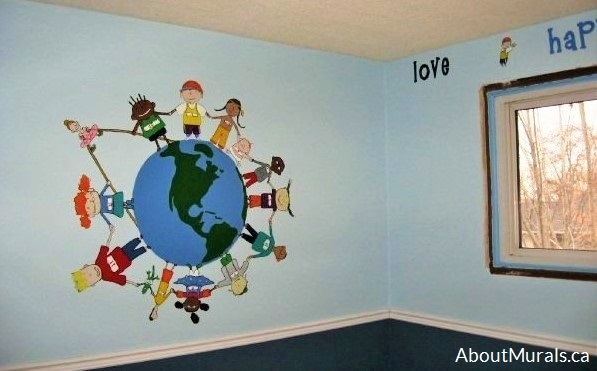 Still like the idea of a world mural for your kids bedroom and like my style? Let’s work together! Or…Check Out My World Wallpaper Murals! They ship for FREE in Canada and the USA! Here are a couple of my fave designs! Join my newsletter community and I’ll send you the latest promotions…and maybe even a hot coupon code or two!